If you are looking to relax and have fun away from the sand and ocean, Horizon at 77th features plenty of water amenities for your enjoyment. 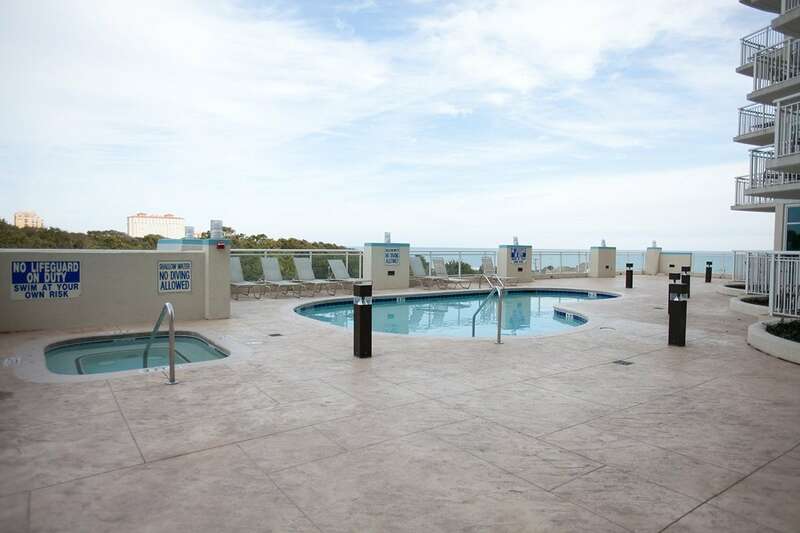 After a long day spent touring the Grand Strand, our guests are able to cool off in our pools and lazy river, or relax and recharge in one of our hot tubs. 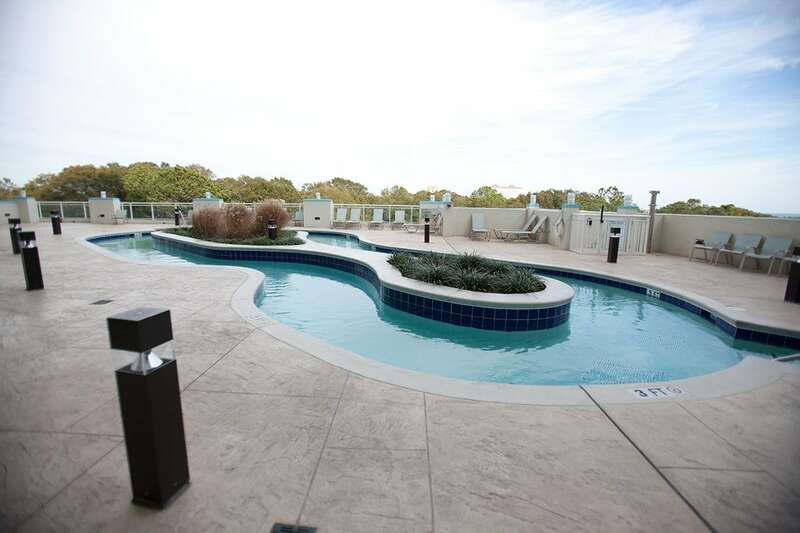 Horizon at 77th features an outdoor pool, lazy river, and hot tub on our elevated ocean view water recreation plaza. 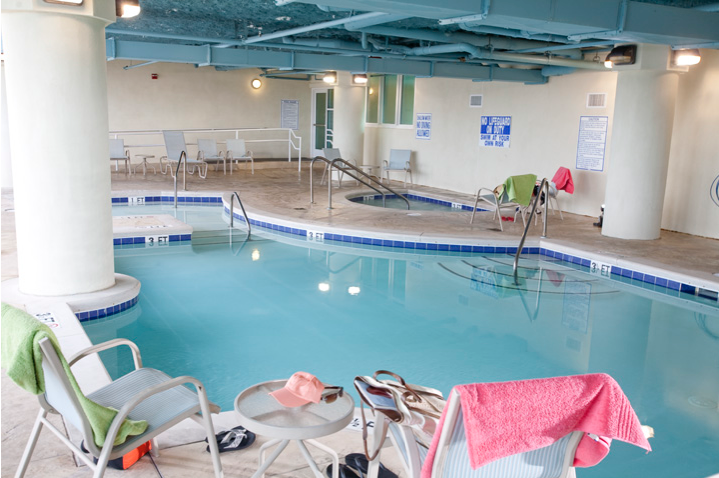 Located on the same floor, you will find an indoor pool and hot tub. The outdoor pool and lazy river are heated during the cooler months and the indoor pool is heated year-round. The outdoor and indoor pool facilities at Horizon at 77th are open daily from 9:00am to 10:00pm. Pool towels and inner tubes for the lazy river are provided.